Sgt. 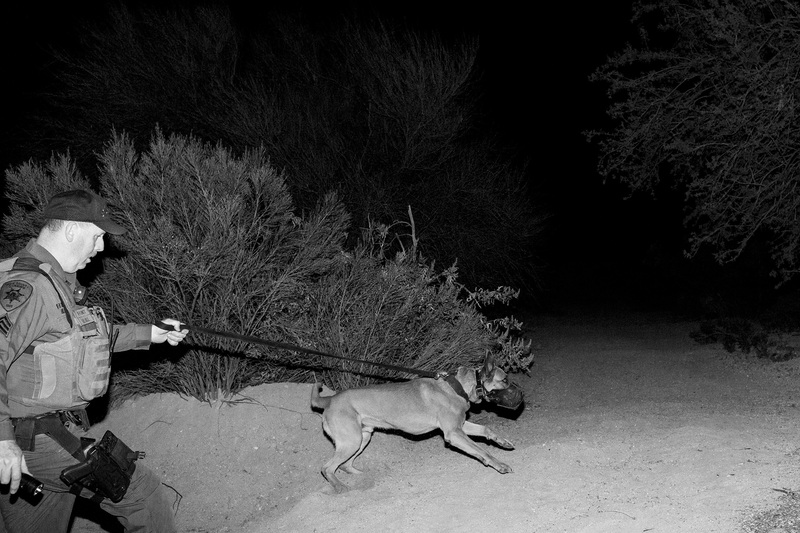 Paul Hill of the Pima County Sheriff's Department and his K-9, Kaya, track a suspect in the desert north of Tucson, Arizona. March, 2017.